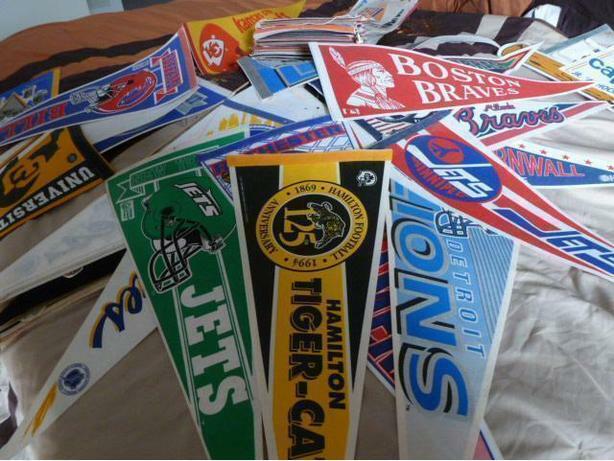 about 150 sports pennants for sale, Canadian and U.S. pro and semi pro teams - CFL, NFL, NHL, MLB, NBA, AHL, OHL, WHL etc. Decades of collecting (1990s and earlier) all vintage pennants, some very rare, some autographed. Call to discuss purchase, leave a message, we will get back to you.